OKLAHOMA CITY – Governor Mary Fallin today issued the following statement after the U.S. Department of Education announced it was restoring Oklahoma’s waiver to the federal No Child Left Behind (NCLB) education law for the remainder of this school year. Reinstating the waiver ensures that Oklahoma schools will retain control of up to $30 million in federal funds. “The Oklahoma State Department of Education and Oklahoma schools should be afforded the maximum amount of flexibility when using federal dollars. Restoring Oklahoma's NCLB waiver is the correct decision and will help us get more money in the classroom." 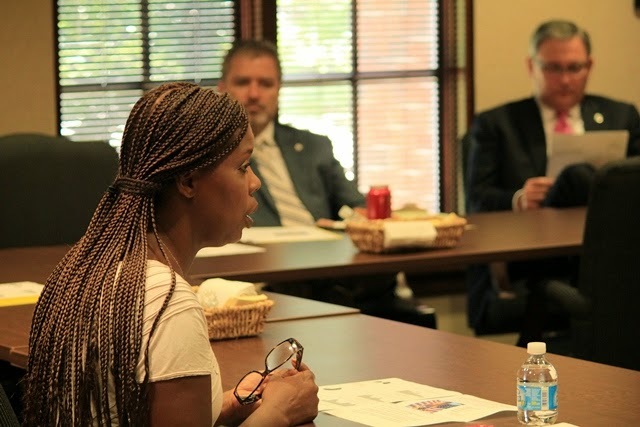 “As we said when we passed House Bill 3399 last session, if the Obama administration’s immediate reaction was to take Oklahoma’s waiver from No Child Left Behind, our bill included a safety net. It required a review of our state’s current PASS standards by higher education and CareerTech to determine if they were indeed college and career ready. Once that review was complete, not only were our standards certified as college and career ready but our CareerTech and higher education leaders offered numerous suggestions on ways to strengthen our existing standards. “Utilizing the academic expertise we have at colleges and universities across our state as well as leaders in best CareerTech system in America to improve education in our state is something which should have been done long ago. I am excited we now have all tiers of education in Oklahoma engaged in improving the educational opportunities for students in our state. “The U.S. Department of Education had only one choice – restore Oklahoma's NCLB flexibility waiver. With certification by the State Regents for Higher Education in mid-October that the PASS standards are college- and career-ready, the department had to reverse course. “The truth is, the waiver should have been restored prior to the mid-term elections. The waiver process is unnecessarily political, as were the erroneous claims made by groups like the OEA and Stand for Children. I'm pleased that we've not governed based on political sound bites from education special interest groups that are busy spreading misinformation and fear. That clearly would have been the wrong course in this instance, and I don't believe it has served the children of Oklahoma well before now. What has happened since House Bill 3399 was signed into law in June stands in stark contrast to all the claims made by those groups. As I have stated from the start, federal education funding in Oklahoma has NOT been at risk. “Sound leadership in the Legislature has resulted in a comprehensive review and certification of our PASS Standards and a new, permanent process to create new standards that includes the three legs of our state's education stool: common education, career technology education and higher education. This should have been done decades ago. Friends, family and supporters looked on as newly elected and reelected members of the Oklahoma State Senate took the oath of office on Tuesday in the Senate chamber. Lt. Gov. Todd Lamb, President of the Senate, presided over the ceremony. The oath was administered by the Honorable John Reif, Chief Justice-Elect of the Supreme Court. New members taking the oath of office were Marty Quinn, R-Claremore; Joseph Silk, R-Broken Bow; Roger Thompson, R-Okemah; Stephanie Bice, R-Oklahoma City; Darcy Jech, R-Kingfisher; Jason Smalley, R-Stroud; Ervin Yen, R-Oklahoma City; Jack Fry, R-Midwest City; and Kay Floyd, D-Oklahoma City. Anastasia Pittman, D-Oklahoma City, was sworn in during an earlier ceremony. Quinn, Floyd, Pittman and Smalley have previously served in the House of Representatives. Returning members who were sworn in on Tuesday included Senate President Pro Tempore Brian Bingman, R-Sapulpa; Mike Schulz, R-Altus; Mark Allen, R-Spiro; Randy Bass, D-Lawton; Josh Brecheen, R-Coalgate; Rick Brinkley, R-Owasso; Bill Brown, R-Broken Arrow; Kim David, R-Porter; Eddie Fields, R-Wynona; AJ Griffin, R-Guthrie; Ralph Shortey, R-Oklahoma City; Frank Simpson, R-Springer; and Anthony Sykes; R-Moore. David Holt, R-Oklahoma City, and John Sparks, D-Norman, took the oath of office in an earlier ceremony. Returning members were able to file legislation for the 2015 session beginning November 17, while new members can begin filing bills on November 19. The deadline for requesting bills is December 12. January 22 is the deadline for introducing legislation to be heard in the 2015 session. The full Senate will officially convene for an organizational day on Tuesday, January 6, 2015, and the First Session of the 55th Legislature reconvenes on Monday, February 2. Following the swearing-in of new and returning Senators on Tuesday, Senate Republicans met in caucus to elect their leadership team for the 55th Oklahoma Legislature. Without opposition, Sen. Brian Bingman was reelected as President Pro Tempore-Nominee of the Senate. Bingman also announced that Sen. Mike Schulz will continue to serve as Majority Floor Leader for the 55th Legislature. Majority Caucus Chair Bryce Marlatt and Majority Caucus Vice Chair A.J. Griffin were also elected without opposition. In addition, the Senate Republican Caucus elected assistant majority floor leaders and majority whips on Tuesday. The 55th Legislature will include eight new Republican Senators. Four Senate seats have switched from Democrat to Republican, including Marty Quinn (District 2), Joseph Silk (District 5), Roger Thompson (District 8), and Darcy Jech (District 26). The Senate will also welcome four freshmen in seats previously held by Republicans with the addition of Senators Stephanie Bice (District 22), Jason Smalley (District 28), Ervin Yen (District 40), and Jack Fry (District 42). The Senate will meet for organizational day on Jan. 6, where leaders will be formally elected and rules for the 2015 session will be passed. OKLAHOMA CITY – The 101 members of the Oklahoma House of Representatives took their oath of office today including 22 new members who will be serving in the 55th Oklahoma Legislature. 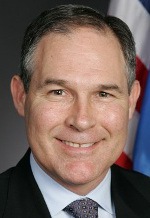 Oklahoma Chief Justice-elect John Reif performed the ceremony. The House currently consists of 72 Republican and 29 Democratic legislators, the same as the previous Legislature. 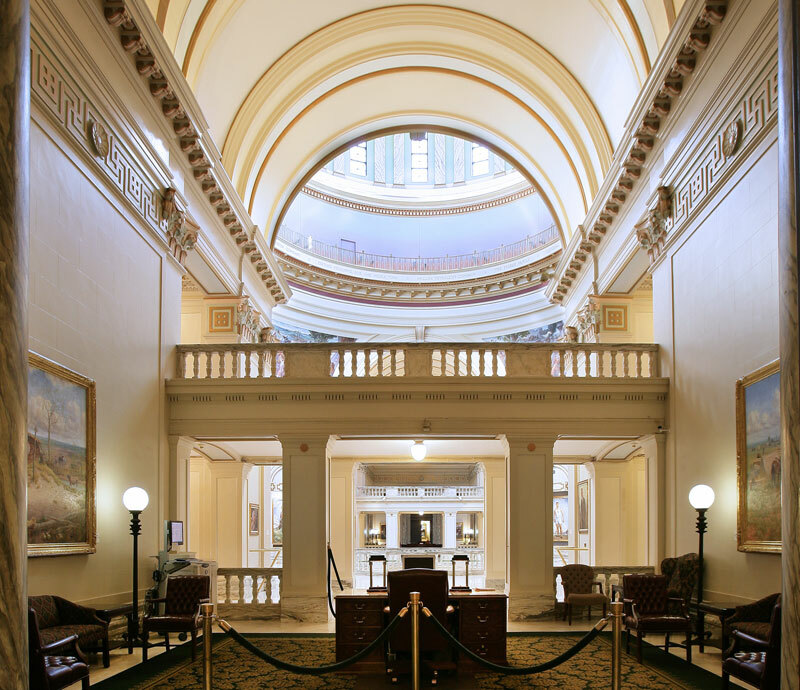 The Oklahoma House of Representatives will convene on January 6 for Organizational Day and will formally elect House leadership. The bill filing deadline for the 2015 Session will be January 22 at 4 p.m., and regular session will reconvene on February 2. I want to say thank you to so many friends for supporting my re-election campaign. I especially want to thank my family, all of whom have made a tremendous sacrifice to allow me to campaign and serve. This was a very competitive, hard-fought race and my opponent was the toughest I have faced yet. He matched us in fundraising and I know he knocked on many, many doors. But his team could not compete with our volunteers. It has been said that one should never underestimate the heart of a volunteer and I have never felt this to be more true than now. As many of you may know, three weeks ago, our 8 year-old daughter, Grace, was diagnosed with advanced stage kidney cancer. We have been tremendously blessed by the outpouring of support so many of our friends, neighbors, and church family have offered during this time. Countless numbers of you swung into action to help our family on the campaign and in many personal ways. My wife Lori and I thank you for each call you made, letter or note you wrote, and each door you knocked to help us win. Simply put, we could not have won without your efforts. Most importantly, as we help Grace fight this fight, we ask for your continued prayers and are forever grateful for your kind actions. Many tried to make this race a referendum on education and the many reforms I have been proud to support in recent years, like the Lindsey Nicole Henry scholarship program for children with special needs. I think they were right. This victory proves that putting people over partisan politics works. It’s not about protecting an elite class or the education establishment – it’s about doing the right thing for individual families, like that of Diane Brumley, who went above and beyond to tell her story of how the LNH scholarship changed her family’s life. While special interests and dark money groups rallied to defeat those of us who believe parents always know what’s best for their child’s education, you, the people of House District 87 rallied to defeat those special interests and I am grateful for the continued trust you have placed in me. I first ran for office because I believed I could help make a difference by helping to build an Oklahoma that our children and grandchildren would be proud to call home. This mission has taken on renewed meaning for me. May God bless our great country and our great state. OKLAHOMA CAPITOL — Ninety-three separate interim studies were requested by state representatives this year. House Speaker Jeff Hickman approved eighty-three studies this week. Sixty-one separate studies are available to be scheduled between August 5 and November 12 because twenty-two of the approved studies were combined with similar studies. Ten requests were not approved. 14-048 requested by Rep. Ann Coody will study “the necessity of an additional background check for certified educators who work in DHS before- and after-school programs.” Assigned to the Common Education Committee. 14-054 requested by Reps. Sean Roberts and Wade Rousselot will consider reforms to the state’s adoption laws. Assigned to the Human Services Committee. 14-014 requested by Rep. Lee Denney will examine Erin’s Law, a “Child Sexual Abuse Prevention Education” program. Assigned to the Human Services Committee. 14-055 requested by Rep. Sean Roberts will study child trafficking by studying “ways to combat the crime of human trafficking and identifying services available to victims.” Assigned to the Public Safety Committee. 14-049 requested by Rep. Ann Coody will consider the question, “After Common Core – what next? A study of the possible solutions in developing and implementing rigorous educational standards for Oklahoma’s students.” Assigned to the House Common Education Committee. 14-076 requested by Rep. Jadine Nollan will study “The Transferability of High School Credits between Schools and its Effects on Student Graduation. The study would examine the standards and procedures for which public high schools accept transfer credits, as many transfer students fail to graduate on time due to insufficient credits. A review of the different graduation credit requirements by school district should be included in the study.” Assigned to the Common Education Committee. 14-068 requested by Rep. Ann Coody will study “Proper Transition from K-12 to Higher Education / Career Technology” including “End of Instruction Exams” and “Alabama’s Experiment with ACT Aspire.” Assigned to the Higher Education Committee. 14-070 requested by Rep. Jadine Nollan will study the “Implications of High-Stakes Testing for Students with Learning Disabilities. The study would address the most significant risks posed by high-stakes for students with learning disabilities, as well as the barriers to success on high-stakes testing for students with learning disabilities.” Assigned to the Common Education Committee. 14-004 requested by Rep. Dan Fisher will study “Funding for schools that find themselves surrounded by federal property and thus have their tax base greatly reduced and suffer from reduced operating funds to no fault of their own. We would like to add the 12 districts / schools that are affected by this issue at a later date.” Assigned to the Appropriations and Budget Committee. 14-067 requested by Rep. Ann Coody will study the “State Funding Formula Weights for Special Education. What state/federal legal hurdles stand in the way of necessary data collection? How would Oklahoma update its school funding formula for special education weighting?” Assigned to the Appropriations and Budget Committee. 14-016 requested by Rep. Lee Denney will explore the future of K8 school districts. Assigned to the Common Education Committee. 14-069 requested by Rep. Ann Coody will study the “Effectiveness of Oklahoma’s Public Charter Schools” and “What effective strategies are taking place in Oklahoma’s public charter schools that can be replicated in the k-12 setting?” Assigned to the Common Education Committee. 14-071 requested by Rep. Emily Virgin will study “Temporary Assistance for Needy Families and CareerTech.” Assigned to the Higher Education Committee. 14-046 requested by Rep. Ann Coody will explore preparing teachers and prospective teachers to recognize symptoms of dyslexia in students including the “role of higher education teacher preparation programs and professional development.” Assigned to the Common Education Committee. 14-043 requested by Rep. Dan Kirby will consider the “benefits of Athletic trainer required at youth sporting events in Oklahoma.” Assigned to the Public Health Committee. 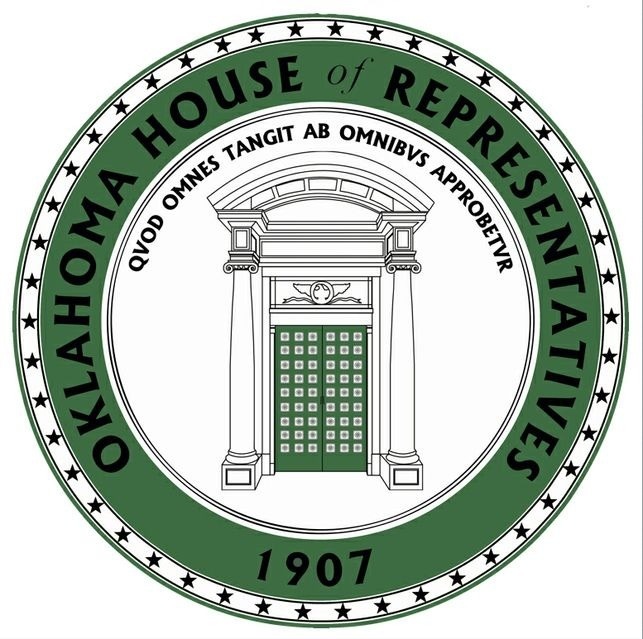 14-063 requested by Rep. Jon Echols will study “Allowing medical trials in the state of Oklahoma for the use of non-intoxicating CBD Oil for severe seizure disorders in children.” Assigned to the Public Health Committee. 14-023 requested by Reps. Mark McCullough, Lee Denney, Jason Nelson and Jadine Nollan will examine “Effective Interventions for the Potential Negative Impacts on Learning in Children from Single Parent, Divorced and Dysfunctional Homes.” Combined with 14-012 and assigned to the Human Services Committee. Each approved interim study was assigned to a standing committee. The chairpersons of the committees to which studies were assigned will work with the requesting members to schedule hearings for each interim study. Questions about specific interim studies should be directed to the members requesting the study.